Coffee lovers can now enjoy their favourite cup of joe at the Ground Floor of Aeon Mall Sen Sok City. Besides freshly brewed coffee, customers can also enjoy fresh soups, salads and mouth-watering sandwiches here. This San Francisco Caffè outlet, with its outdoor garden seating area, can accommodate up to 90 customers. 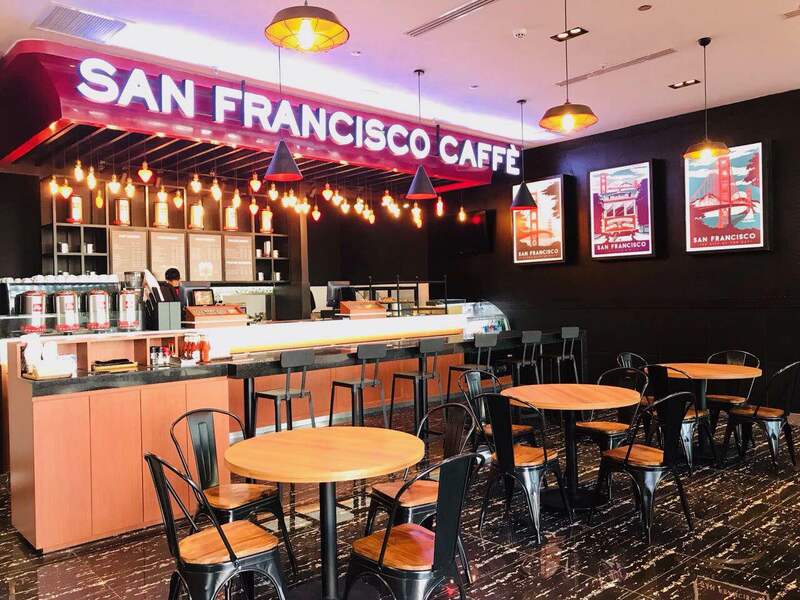 San Francisco Caffè Co. Ltd. is a wholly-owned subsidiary of SOHO Diversified Group Co. Ltd.